You'll find the latest in Kansas scholarship in Kansas History: A Journal of the Central Plains, issued quarterly by the Kansas Historical Foundation and the Department of History at Kansas State University. 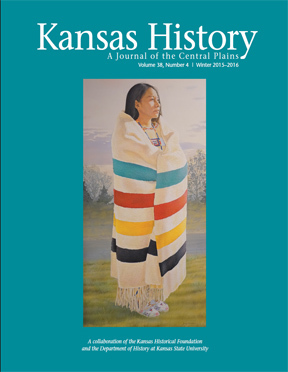 This scholarly journal, recipient of awards from the Western History Association and the American Association for State and Local History, publishes new research on Kansas and western history and offers interesting, well-illustrated articles that appeal to both the serious student and the general reader. 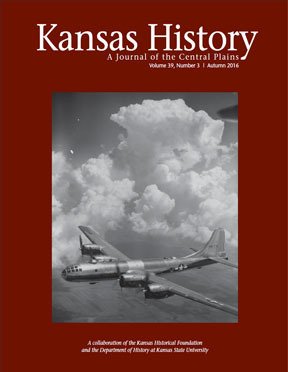 Kansas History is a benefit of membership in the Kansas Historical Foundation. Individual issues also are available for purchase through the Museum Store. It can also be found on Kansas Memory. 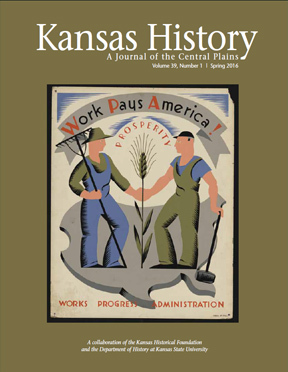 The Kansas Historical Quarterly was published by the Kansas Historical Society from 1931-1977. they are available to browse online through Kansas Memory and through the links below. Most of these volumes are available through the Museum Store. Some of the issues have been transcribed. The Historical Society thanks the project volunteers for their assistance with transcriptions. The Kansas Historical Collections are 17 volumes of the first serial published by the Kansas State Historical Society from 1875 until 1928. Volumes I to X were officially titled the Transactions of the Kansas State Historical Society. The title changed to Collections of the Kansas State Historical Society beginning with volume XI. They are available to browse online in Kansas Memory and through the links below.